I am all about producing food in mass quantities, fast and making sure it is always delicious. 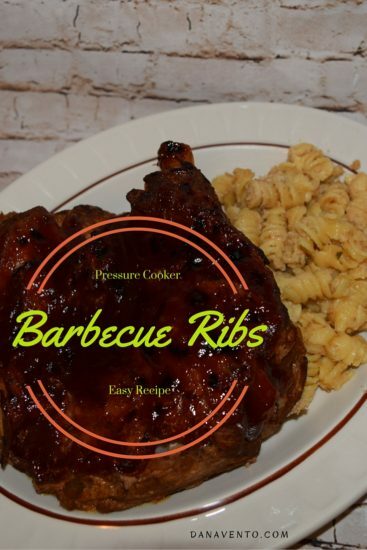 Pressure cooker barbecue ribs have been my saving grace because my boys crave meat and they love them some delicious tasting slow-cooked ribs! Whoa! Did I say slow-cooked? Not a chance because in my house, it is all about fast, easy and delicious! My tweens and teens to feed it would seem as if the food supply needs to be endless and my kitchen works its food magic daily. I am not about the lengthy cooking process, because quite frankly time is not my friend. Ribs can be slow as molasses to cook in order to get them just right, but I can help you get 8 pounds of ribs cooked to the point of falling off the bones in under one and 1/2 hours! 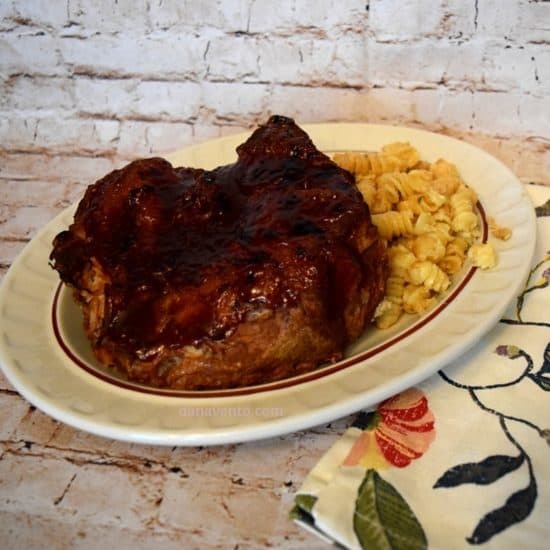 I have tried boiling ribs and then placing them on the grill and I have slow-cooked ribs, all great if you have time and like the slow-cooker taste of food. Truly, I am about getting my task done, and keeping it time efficient while using the best in technology that is available. The latest sensation that you have seen me writing about over and over are electric pressure cookers. I am testing out a bunch of different brands and each works well, just very different from one another. I also own about 2 stove-top pressure cookers and while they make great food, the end results is a longer heating up process, a longer cooking process and a bit of a mess. Guess that they are hitting the appliance graveyard, because they have rendered themselves useless with the new tech that does not require heating up a stove or worrying about the dangers of the on-stove pressure cookers. The other thing about stove-top pressure cookers is the fact that they can’t go with you. I don’t like how often they scorch on the bottom even if they were over $150, they just can’t take the heat and having to sit there and continuously regulate temperature is not something I like to do! Tailgate and have electric? (you must not live in Pittsburgh, but we bring it all!) You have seen the RV’s that travel to sports events, well this is the KEY appliance to have in one of those! The electric pressure cookers can go with you and you can have food in minutes! Cheap cuts of meat are no longer a challenge, because the lid locks in moisture. Warm foods like wings and chili are all there for your food pleasure. If you have electric you can cook with this thing anywhere you are! This is pretty much a limitless tool as you can cook anything from soup to rice and everything in between. Today I used a Power Pressure Cooker XL to prepare foods an I cooked 8 pounds of ribs in ONE HOUR AND 10 MINUTES. This is an 8 quart One-Touch cooking appliance that sits on your counter-top and cuts the cooking time by like 70%. OF course, I had to test the recipe out to make sure it was perfection and well I can’t say enough. First of all, if you are buying a pressure cooker and cook for groups, you need a big one, and this cooks large amounts, without using a stove and creating unnecessary heat in the kitchen! The POWER PRESSURE COOKER XL offers Pressure Cooking, Canning, Soup Making, Slow Cooking, Steaming and Rice Cooking. It is large enough to really cook large batches and for families of 4 or more this is the size you need. If you cook in bulk, or want a few meals worth of food, smaller just won’t work, or you will be cooking 2 cycles worth so buy big and don’t repeat the work. Gather your ingredients before you start, because you won’t have time to do anything else in the first 6 minutes as you will be browning meat, and adding in more. Press Chicken/Meat, add in oil, garlic and celery, lightly brown (this will happen in seconds) and then add in ribs, one slab at a time, browning each side, removing to a tray and continuing on through all the pieces. You are searing the juice into the ribs to lock in moisture, and of course you can skip this step, I never do. Once each slab is browned, (pretty much 1 minute per piece) I then remove all, add in 1 cup of water, and place the ribs in slathering each layer with barbecue and continue to stack to the MAX line never further. 8 pounds does fit in this if you cut the slabs up. You have to cut them in order to brown them. If you don’t you could wrap them into ‘O’ like pieces and that would work as well. Add in the extra 1/2 cup of BBQ to the top, close and lock the lid, make sure to put the SEAL part of the gasket on, and not VENT. Program the Pressure Cooker by touching CHICKEN/MEAT button and then Cook Time Selector to 1 hour (that is the max it will allow). As soon as that cooking revolution is done, reset it for an additional 10 minutes. You can use a spoon and tongs to remove, place on a tray ( I advise foil disposable) and slather with BBQ and broil quickly to get that ‘charred’ rib effect with stuck on BBQ. This is all going to be personal preference and no matter how you eat them, they are killer awesome! Lightly brown (this will happen in seconds) and then add in ribs, one slab at a time, browning each side, removing to a tray and continuing on through all the pieces. Place the ribs in slathering each layer with barbecue and continue to stack to the MAX line never further. Make sure to put the SEAL part of the gasket on and not VENT. As soon as that cooking revolution is done reset it for an additional 10 minutes. Allow the meat to go through the natural cooling process (do not turn to vent when it is done). That is it. The truth of it is that you will have perfect ribs, 8 pounds of them in about an hour which is unlike any other way you have cooked before unless you have bought pre-made, pre-cooked ribs and just heated them, but then again, those can’t really be called homemade! It’s a new idea for me. great recipe!! thanks for sharing. OMG! This is the best barbeque ribs I have ever tasted. It’s so soft and tender just the way I liked it. I am a vegetarian but I bet this would be perfect for BBQ season and my meat eaters would adore these ribs! My grandmother used to cook her ribs in the pressure cooker. I am going to have to check this electric pressure cooker out for sure. The ribs look amazing and thanks for sharing the recipe. We need to get a pressure cooker but haven’t bit the bullet yet! These sound yummy! We’ve been talking about an electric pressure cooker. These ribs are enough to sell me on it! Oh yum!! Gotta love BBQ ribs. Amee recently posted..Easy and fun Rocketship Corn Dogs + FREE Space helmet Printable! Kathleen Kennedy-Leon recently posted..MyBestofBothWorlds wrote a new post, Brush your teeth! Looks so good, can’t wait to try to make them for my family. What a delicious ribs! My hubby is going to love to see this! Those look really good. I have been wanting ribs for a while. I’ll have to give this recipe a try. My family wants ribs for 4th of July and I’ve never made them before so here I am. I think I can handle this recipe – I’ll let you know how it goes! I like slow cooking more than pressure cooking. However, I want your recipe and I will try it in a pressure cooker! Hooray for a summer staple! I would typically be intimidated at the idea of cooking ribs, but it seems as if a pressure cooker makes the process easier. Wow, that sure was fast for that amount! I’m all for the fast and the furious when it comes to preparing for the boys in my immediate family and relatives when there’s the usual weekend gathering so this one takes the place of our usual come next weekend! I love this recipe, I love pressure cooker, it makes my love more convenient! Thanks for the share! Barbecues are perfect for the summer and cooking some of the recipes in a pressure cooker definitely makes things a lot easier for busy moms! Thanks for the recipe! Those look so good.I never heard of cooking ribs in a pressure cooker.Need to try this out. I have this pressure cooker and love it! I’ve made all kinds of things in it at a fraction of the cooking time over traditional cooking methods. Your ribs sound amazing! electric pressure cooking is trending because it takes the heat out of the kitchen! I didn’t know that they had electric pressure cookers. Might have to put that on my wishlist. I need to get a pressure cooker just for this reason. these ribs look so good. These look sooo good! 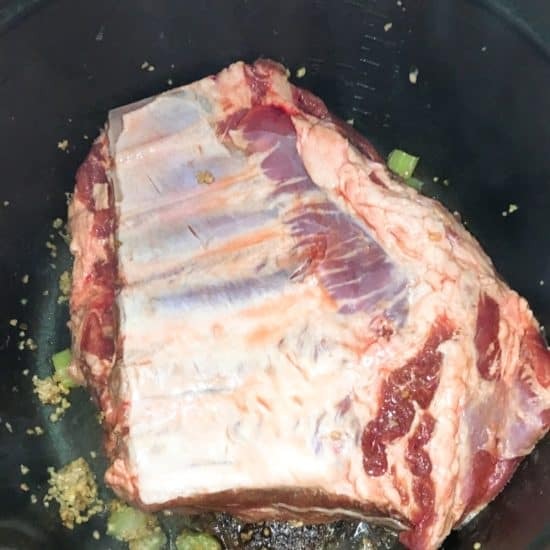 I love making ribs but have not tried them in a pressure cooker. Those sound so good. Can’t wait to try them.